For the home with a lot of heart The octopus is known for having 3 hearts, making it the perfect symbol for your happy, love-filled home. 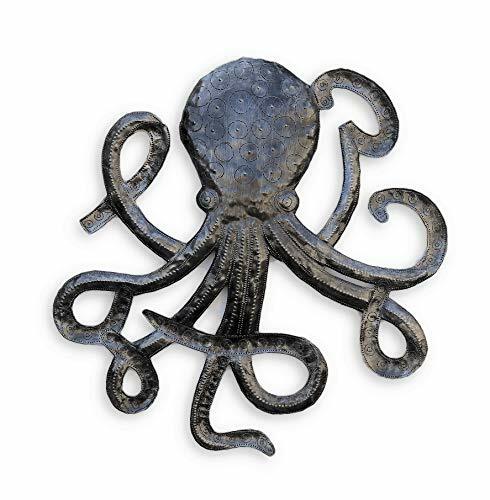 Complete your home's sea decor with our Metal Octopus Wall Art. 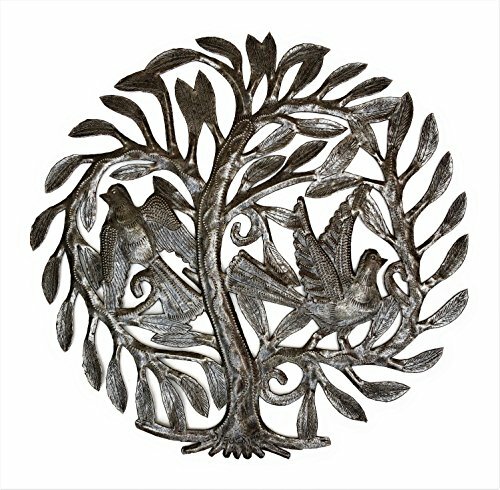 Handmade by Haitian artisans with hammers and chisels, each is uniquely different in its patina and detailing, ensuring you of a truly one-of-a-kind artwork. Measuring 22.5" x 23", it is perfectly sized for your cabana bathroom, pool house decor, and other home or office accents. Reclaimed and resilient Each eye-catching Octopus sea decoration is fashioned by hand from a 55-gallon steel oil drum, saving it from languishing in a landfill while also allowing a skilled craftsman to support his family. 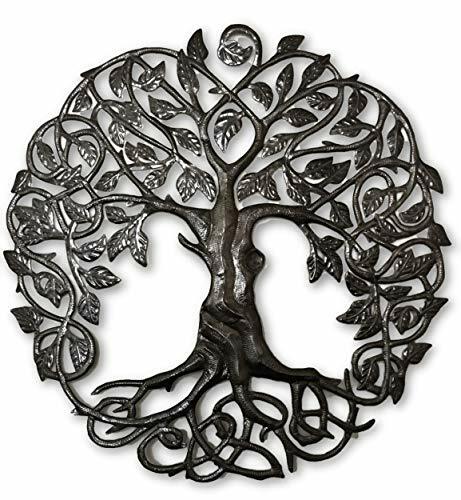 Its' heavy-duty construction makes it an ideal home decoration indoors as well as outdoors. 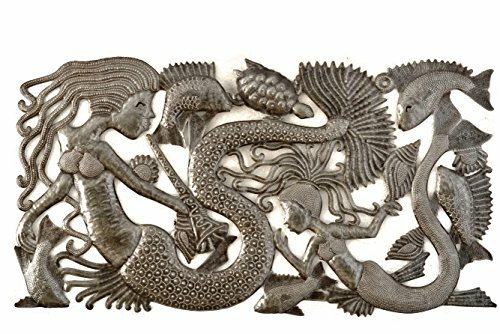 This unique recycled wall art makes a thoughtful housewarming or wedding gift for a new couple or for anyone who loves to surround themselves in marine creatures or other sea decorations. Responsibly sourced for the well-being of all We are a member of the Fair Trade Federation, adhering to a model of sustainable and ethical trade that puts people and planet first. Not only do our Haitian artisans use reclaimed materials in their handmade pieces, but we also ensure that they are compensated in such a way that they have the ability to invest in brighter futures for themselves and their local communities. Give your home or office a touch of the deep blue sea. Add the It's Cactus Octopus Metal Wall Art to your cart today.